Plus pre-order bonuses as well. Tecmo Koei’s Bladestorm: Nightmare, their latest historical action game (think: Dynasty Warriors set in European history, and you get the idea) is rapidly approaching a release, and to get us all pumped for the game when it gets here, Tecmo have announced that they will be letting us go hands on with the game earlier than expected with a pre-release demo. The demo will be available in March on Xbox Live and PSN (no PC demo has been announced, in spite of the recent announcement that the game will be coming to PC as well), and on PlayStation, it will let you carry over your saved data from Bladestorm: The Hundred Year War over to the PS3 or PS4 versions of Bladestorm: Nightmare. The demo isn’t all, however- all pre-orders of the game will also get some special bonuses that will be unavailable elsewhere. Specifically, those who pre-order through GAME will receive a dragon mask & staff item set while those who choose to pre-order through PSN will receive a Cyclops mask & club item set. Finally, a special costume set for the Black Prince and Joan of Arc will be available from independent retailers via CentreSoft. 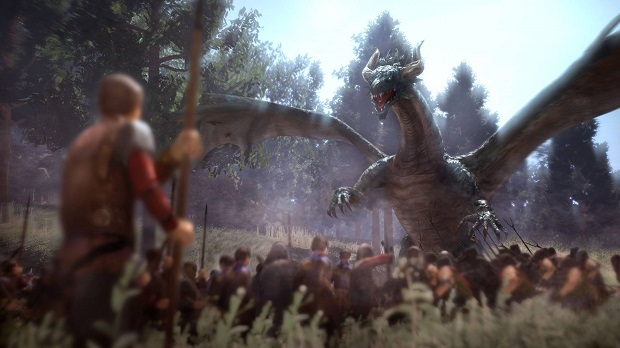 Bladestorm: Nightmare releases on PS3, PS4, Xbox One, and PC soon. Stay tuned for more coverage.